Hi Beloved, I have an announcement… It feels exciting and scary to share with you here, but here goes: I finally unionized with my Twin Flame! It took me many long, harrowing, exciting, sad, scary, adventuresome years and lifetimes. But I finally let down my guard and was able to see the truth: Jack is my other half (well, more accurately, my Divine Mirror) and we’re diving into our Twin Flame Union! And I used this one simple secret over and over, and I know it’s what has paid off. It’s also what has worked for all of my Twin Flame clients, and was the only thing that kept my sanity when I was practically left at the altar by the man I thought was my Twin Flame. Seriously, I cannot over-emphasize this enough ladies: Twin Flame Love is merely a mirror of self-love. 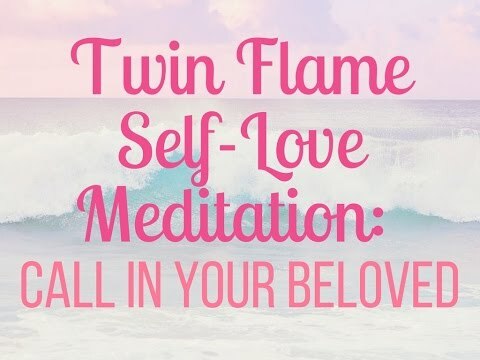 So self-love is the conduit for Twin Flame Love and Divine Love to flow. It’s time to step into the most powerful energy that can hold you forever young, ’till death do us part, and for all eternity: self-love.